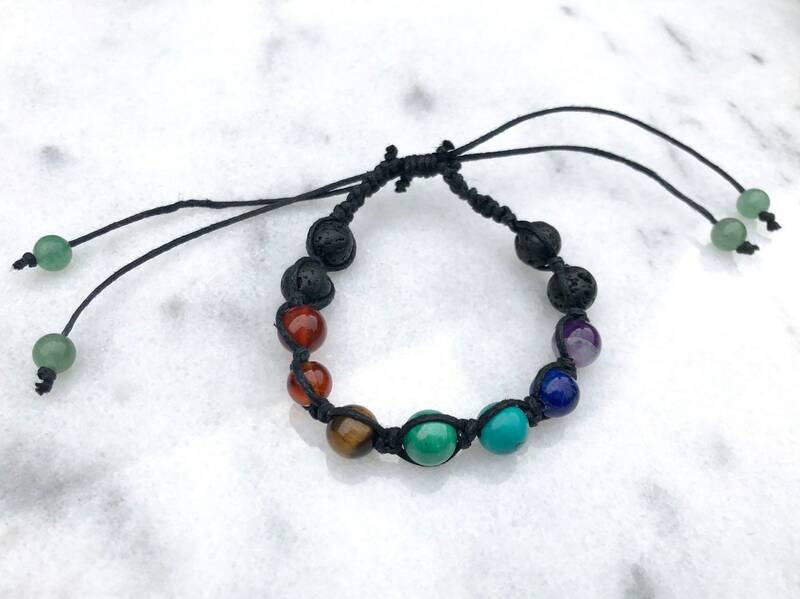 Up your meditation game and rock through the day with confidence with this handcrafted chakra bracelet! 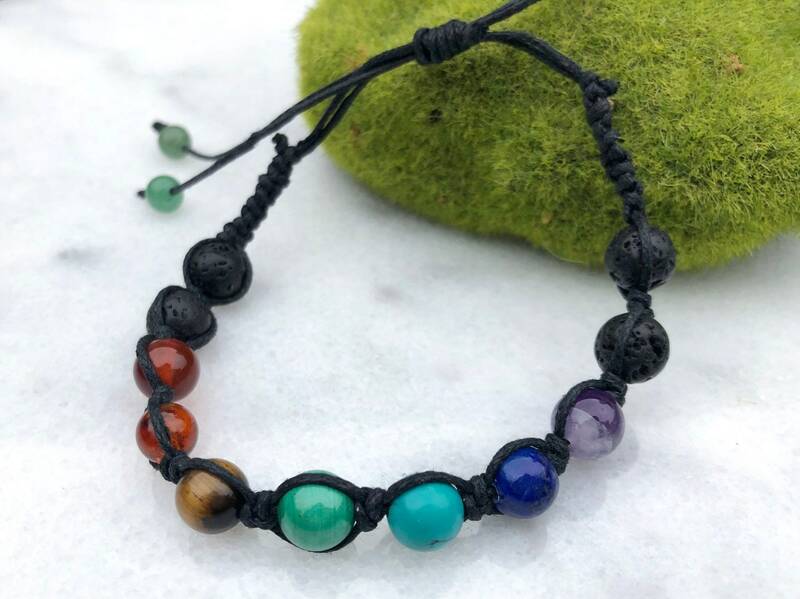 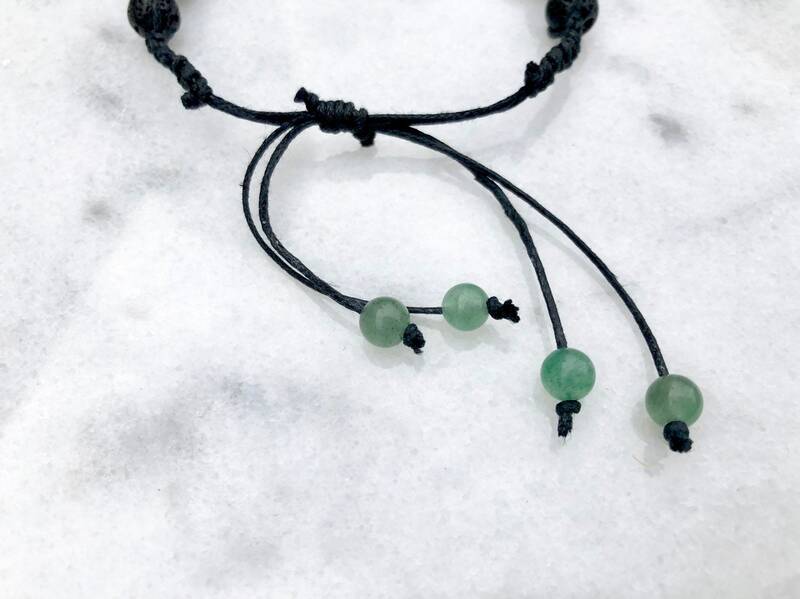 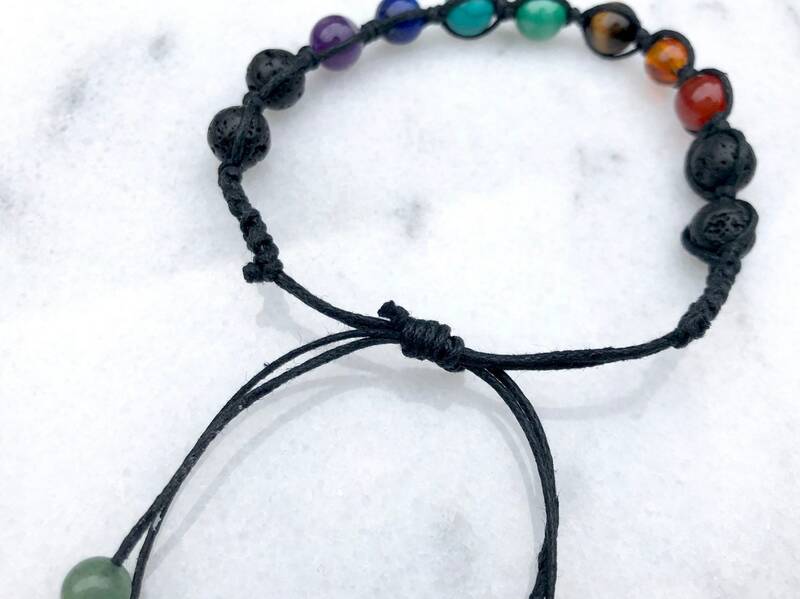 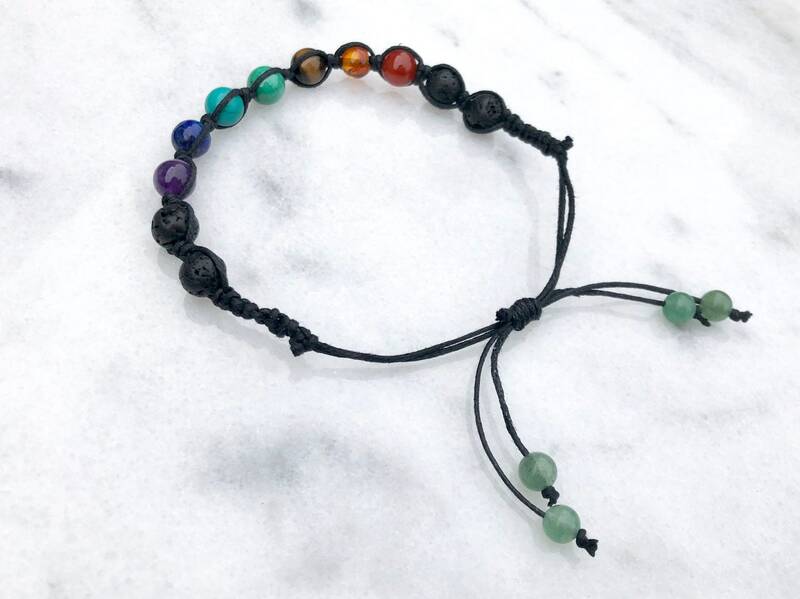 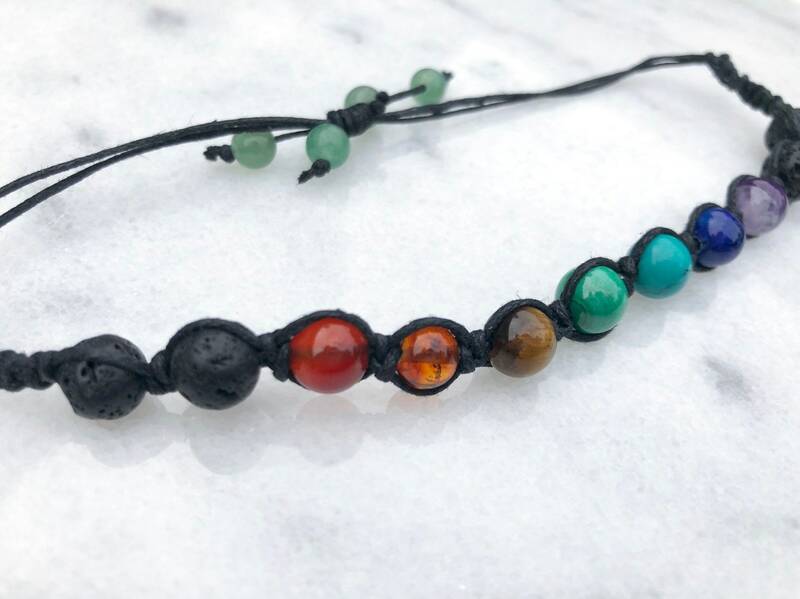 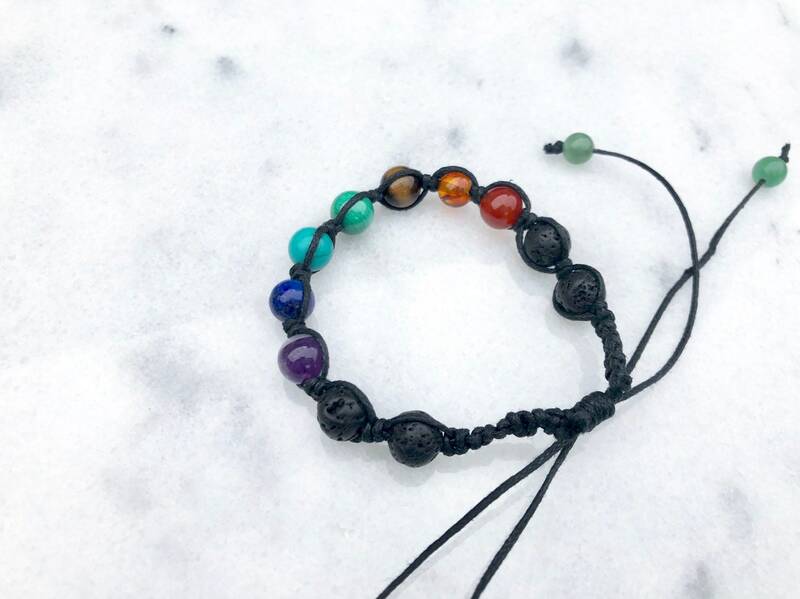 Each bracelet features a stone that coordinates with the seven chakras, two lava stones on each side for essential oils and two delicate aventurine bead weights on each tassel. 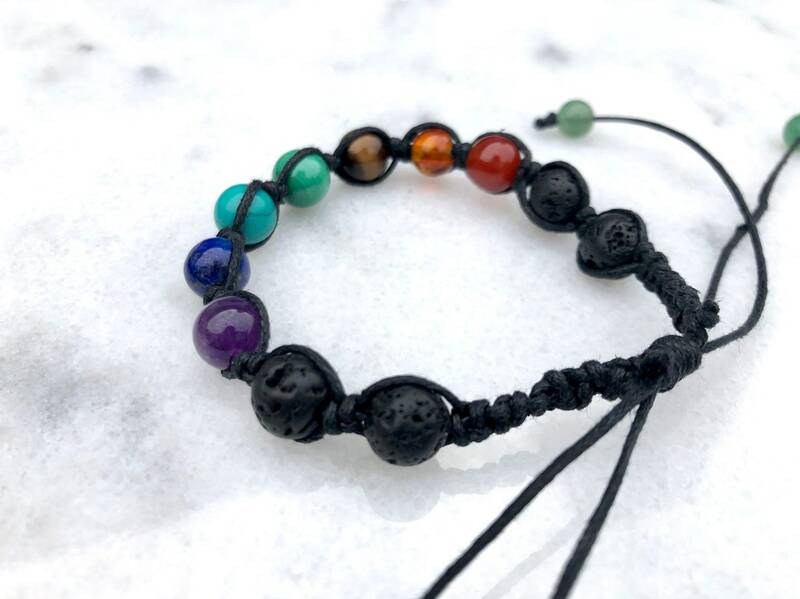 This chakra bracelet is adjustable, making it a perfect fit for many. 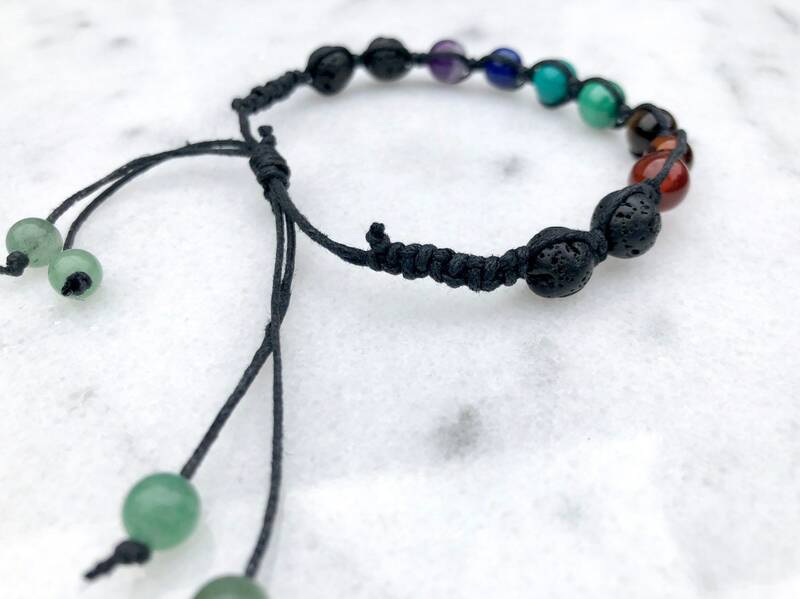 Just pull the two long tassels away from each other to tighten and gently pull the bracelet open to remove. 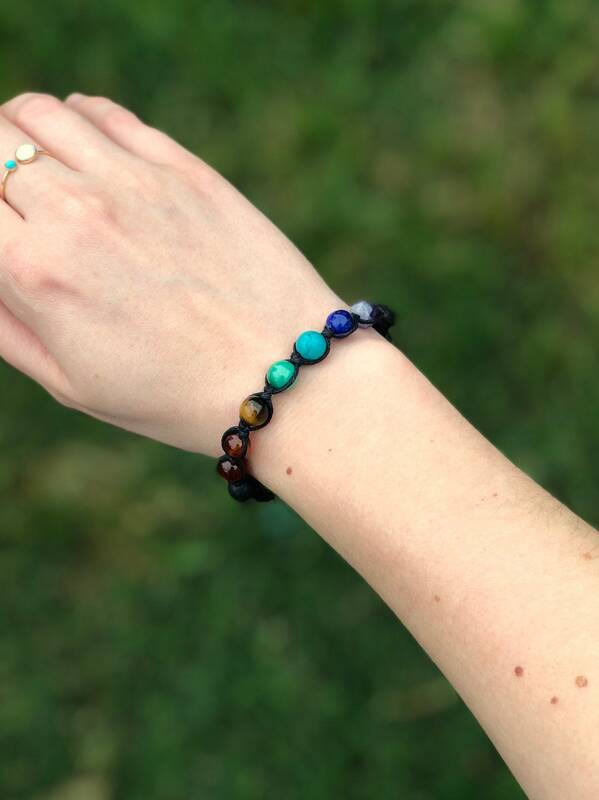 Bracelets are shipped in a white gift box, perfect for giving to friends or treating yourself!